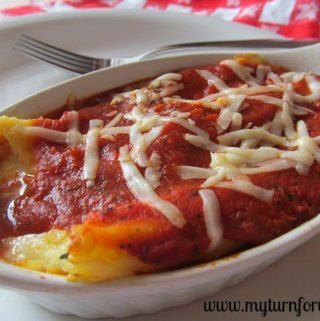 I believe I have mentioned before of my love of Italian dishes like this Cheese Manicotti with a rich red sauce seasoned with basil, oregano, and garlic covered with melted cheese. 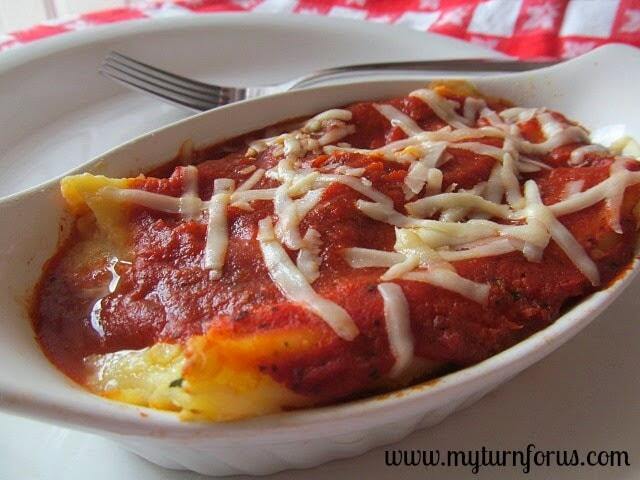 This recipe for Individual Manicotti would be perfect to make for a romantic dinner. We make things easier by using a jar of spaghetti sauce and we can add a few extra herbs if we wish to beef up the flavor. We also like to make Manicotti in individual baking dishes, it just makes one feel special when everyone has their own little “pan” of cheesy goodness. Did you know that by adding a whole carrot or in this case heating up the spaghetti sauce with a carrot removes the acidity of the red sauce? So all of you out there that suffer from heartburn from eating a rich red sauce, try this little trick next time. You will be surprised how well it works. 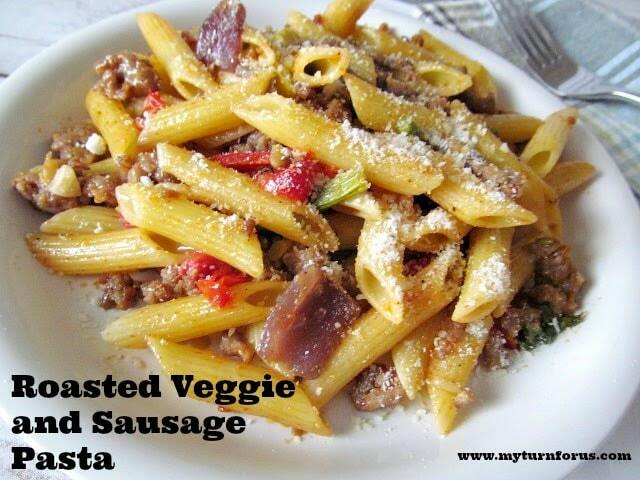 Sprinkle with parmesan cheese and bake for 20-25 minutes uncovered. Looks great for everyone to have their own little dish! Genius! Love the idea of the individual manicottis!! Also love your tip on putting a carrot in the tomato sauce. Gotta remember that 🙂 Thanks! I love anything pasta but making it individual is awesome! This is perfect for my husband on nights when I'm out late. It looks delicious and I know he'd love it! I love individual servings! They are so cute and make easy to serve editions to a dinner party. I love the dish you're serving it in—where did you find it? Love single serving dishes and I will sure try your recipe! 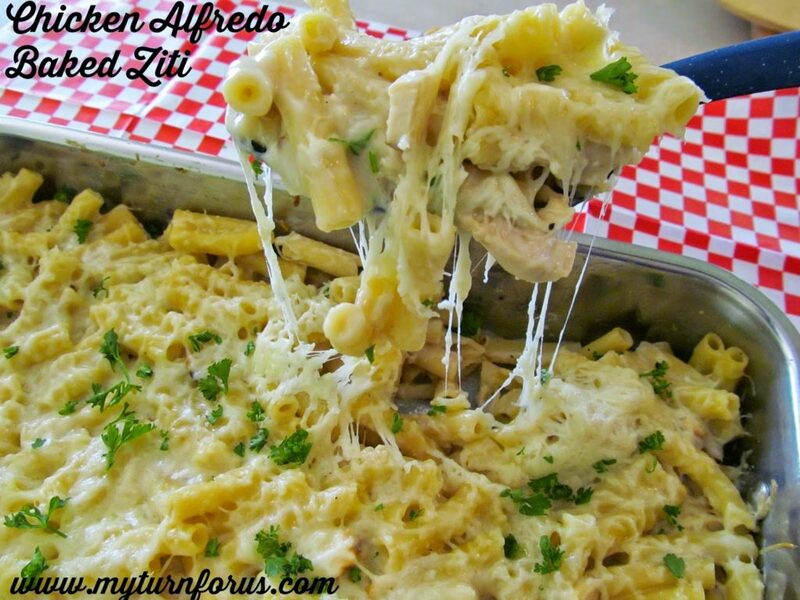 Such a great idea to make them individually, makes for perfect, easy to reheat leftovers! looks so tasty!! I haven't made many large noodle dishes, but they look so great. I need to get some when I go to the store next!! YUM! I love this idea! I've never made manicotti but it is so delicious, I don't know why! Wow, this looks delicious and yummy! What a heavenly dish! Just too delicious! I am dying to try my hand at manicotti. This looks amazing!! I love that dish too! Looks great. This sounds wonderful and I love that each dish is individual. I love the idea of making manicotti in individual portions! 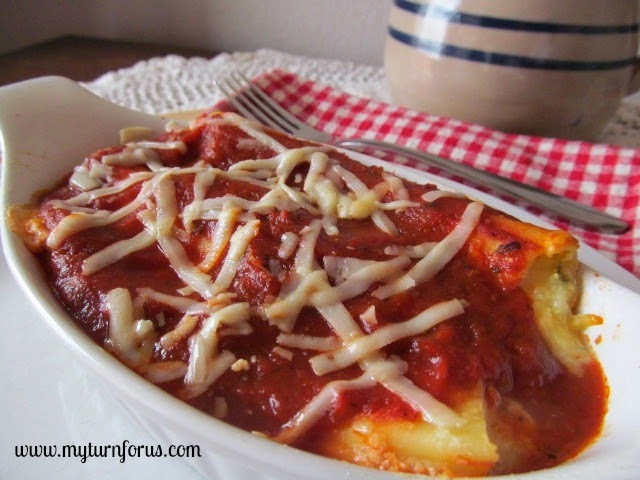 I haven't had manicotti in ages – and I love the idea of individual portions!